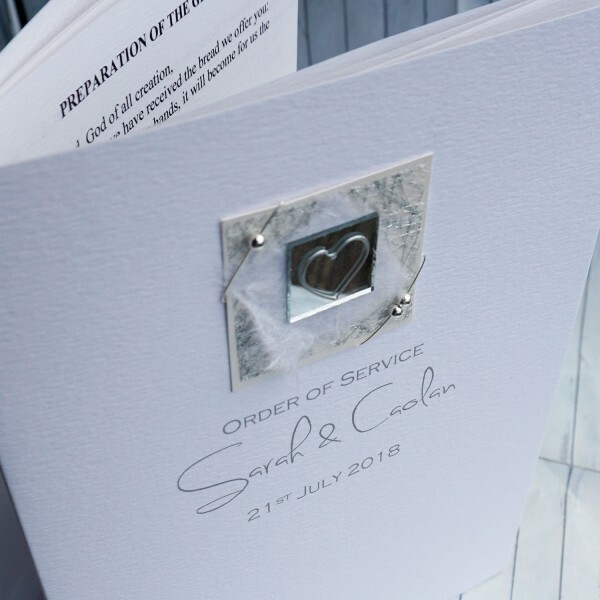 Handmade, personalised wedding order of service / Order of the Day / Order of Ceremony "Liath"
An ORDER OF THE DAY or ORDER OF CEREMONY is equally important for a civil ceremony so that you guests are aware of the timings of the service, speeches, meals etc. 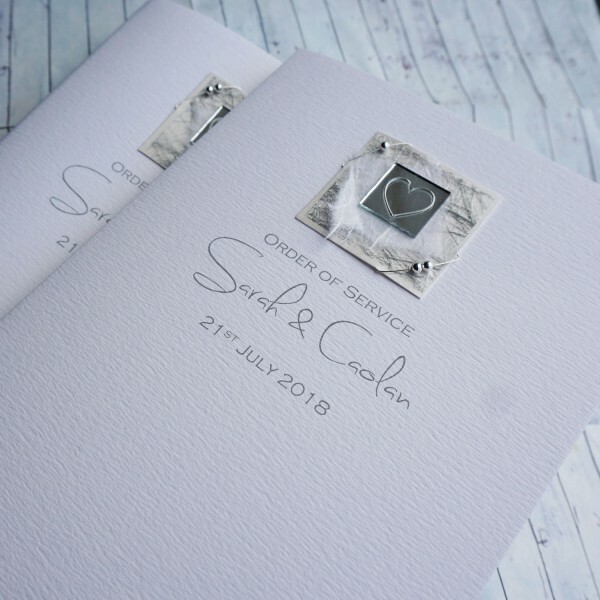 Our Orders of the Day match the Liath wedding suite with a silver heart painted on a mirror mounted on coloured pearlescent card, ‘angel hair’ paper and mulberry paper. Silver plated beads are also wired onto the design for a touch of sparkle. 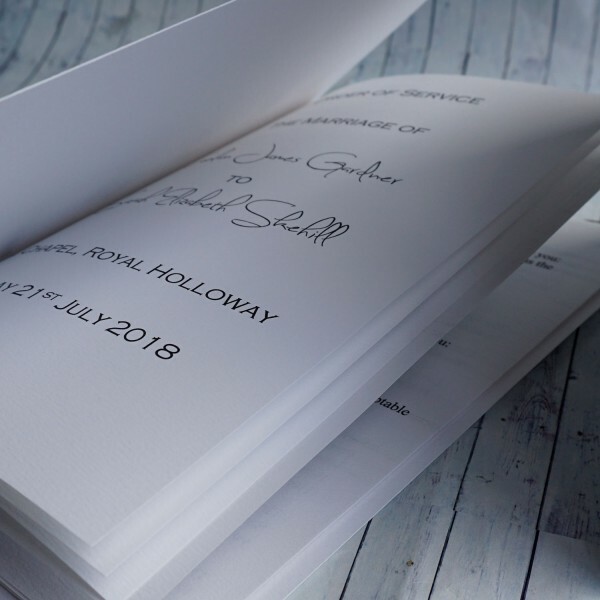 Created on your choice of superb quality white, ivory or cream textured card and supplied with matching inserts and available in any colour scheme. Handmade, Personalised Wedding Photo Album "Liath" Personalised photo album to match the.. Handmade Flat Wedding Invitations "Liath" LIATH FLAT WEDDING INVITES can be used for day or e.. Handmade Save the Date Cards "Liath" LIATH SAVE THE DATE CARDS. The fonts and wording a..